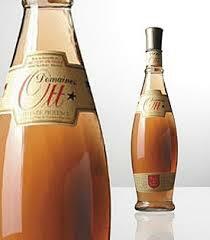 Le Domaine Ott was founded in 1896 by an Alsacian winemaker. This winemaker could be considered the ambassador for the Cotes de Provence. Only 25% of these wines have been exported. 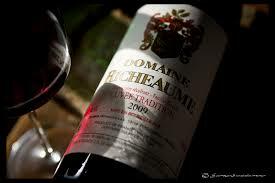 The estate produces powerful red wines, which improves with aging, some nice white wines and some exceptional roses. 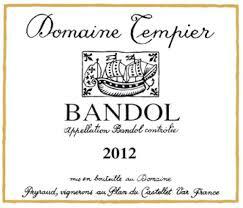 They can be consumed the year they were produced or after 3 to 4 years and truly count among the great wines of France. The quality of the wine drives every level of production: the choice of the soil, the variety, and the method of tending the wines. They use traditional native southern French varieties for all types of wines, and practice organic cultivation without pesticides, but do use trace elements and Bordeaux mixture to combat disease. The copper-and-lime preparation is classified here as a natural treatment, and considered truly effective. The production of these wines is characterized by the methods employed : The vines organically tended and protected and carefully harvested, the grapes are meticulously sorted and pressed, no addition of sulfur, only long fermentation , and maturation in oak casks. There are different wine growing areas, Chateau de Ramassan at Beausset, Clos Mireille by the sea, and Chateau de Selle on the hills of the Haut-Pays,in which the Otts exercise their expertise. The wines of all three bear the characteristics of their particular terroir, and contribute to the good reputation of the appellation. The estate also produces an eau de vie de Provence. The production process takes six good years, conducted in a very regimented manner. Stern legal controls are imposed, affecting each stage of distillation. The still used to produce the spirits of Domaine Ott is sealed, and remains so until a customs official unseals it. The exact date and time of filling the still , the weight of the marc ( the pomace) used, and the strength and quantity of the alcohol produced must be precisely noted and the moment when the distillation process is halted has to be declared right away. The Estate will only keep the spirit produced during the middle period of distillation is kept. This small fraction contains the finest alcohols, which make up only 5% of the total volume. Then the marc is then transferred to casks and matured for 6 months before being licensed by Onivins ( The office National interprofessional of wines. After a 3 to 4 years maturation , the marc has a pale yellow color that develops into an orange-brown hue over the next four years. The flavor will mellow with age, without losing the original strength of its alcoholic content. Blending will be the final stage of the production, it also demands the skill of the wine-maker-distiller. Often several vintages are mixed to achieve ,a balance of flavor, and the resulting blend allowed to rest for 4 more months. Finally the desired marc is ready to be bottled and sold!. Chateau de Selle has a neighbor, Chateau Rasque. The vineyard maintains the cultivation of traditional grape varieties by traditional methods. Harvesting is done by hand, to minimize the damage to the grapes. This in itself will explain the character of the resulting wines; elegant & fine reds, aromatic delicate whites, and soft aromatic roses. 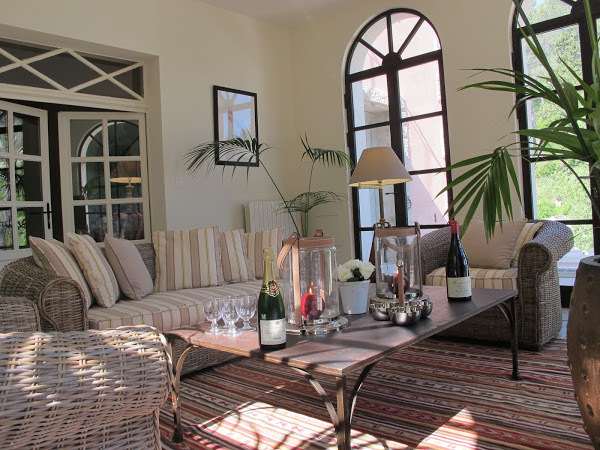 The Domaine de Richaume sits at the foot of Sainte-Victoire and the cultivation practiced here is strictly conducted, combining a concern for quality with modern technology. The vines grow on stony soil and are tended with great care, and an increasingly approach to organic standards. The wine maker’s care is very important in environmental matters, diversity of varieties, careful harvesting and storage in oak barrels. All these factors are very important and contribute to producing wines of very high quality. 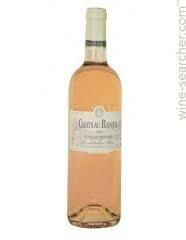 The rose is made up of Southern France‘s finest grape varieties. Grenache, Syrah and Cinsault. It has a very delicate citrus fragrance. The reds have a bouquet that is reminiscent of red fruits and spices. The 1996 vintage had to be decanted but for by 2006 this vintage will develop its full potential in richness. The Blanc de Blancs are matured in oak barrels, they are elegant and fruity wines. The estate Domaine Real Martin, Clos Minuty, Domaine Gavoty, Commanderie de Peyrassol produce very good wines that can serve as an advertisement for the appellation. 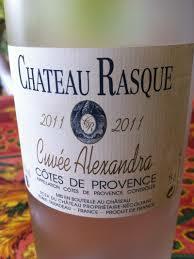 It is clear that Cotes de Provence has much more to offer than a simple rose table wine. The wine estates of this area prove that a rigorously controlled production method, whether using traditional or modern technology, is a very important factor contributing to the production of fine quality wines. – No artificial chemical products are allowed to be used in cultivation. – The rules of organic cultivation must have been applied for three growing seasons before the wine is allowed to bear on the bottle label the words ( wine produced from organically grown grapes). – Certification must be given by an office that is recognized for that purpose. – The wine grower must have informed the relevant chamber of agriculture of his activity. Is it a reflection in the sky or just an illusion created by the sun’s rays, or perhaps nature trying to trick us into believing that the lavender keeps shifting color from a deep blue to mauve. 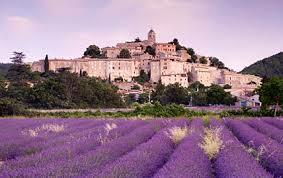 Lavender is truly the soul of Haute Provence said the writer Jean Giono. It has grown wild on the southern slopes of Mount Ventoux and the Lure mountains and has carpeted vast areas in early summer in various shades of violet and blue. Later, a cultivated variety of lavender was introduced as a crop on the high plateaux and mountain slopes of Provence, much to the satisfaction of the local farmers who needed something to compensate for the decline in cereal production. Today, fields of lavender stretch from the pre-Alps near Gigne to the Valensole plateau. True lavender ( Lavandula angustifolia), which is by far the most widespread variety, grows best at an altitude of 1,970 to 5,200 feet ( 600 – 1,600 m) above the sea level. Spike lavender ( Lavendula Latifolia) on the other hand, prefers higher temperatures and lower altitudes between 650 and 1,625 feet (200 – 500 m). The third type is an hybrid of the 2 previous ones and occupies the area in between , growing 1,300 and 2,275 feet ( 400 – 700 m) above sea level. This true favorite of Provencal gardens is the result of cross-pollination by insects of the two varieties. The oil is of lesser quality of that of true lavender. When the harvest begins in July just after the buds open and the intoxicating scent of lavender fills all of Provence. Tractors have replaced the pickers but you will occasionally see them carrying wide willow baskets and cloth sacks harvesting the lavender by hand. The lavender is left to dry for two or three days before being transported to the distillery. 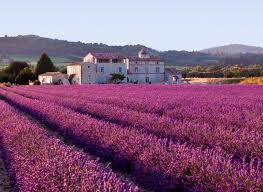 The essence of genuine lavender is used in the perfume industry and also in cosmetic manufacture. Spike lavender has a smell of camphor and is used for paint and varnish. The hybrid lavender which fragrance is inferior to the genuine lavender is used in detergents and other household products. Lavender is finding an increasing use in the kitchen. 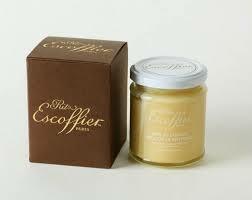 It has been used to flavor honey, candies, sorbets and creme brulees, herbal teas or spicy cakes. It is also in competition with chocolate and vanilla as well as seasonal fruits as an ice cream flavor and even found into main courses. La Fougasse, and oval yeast bread, flavored with lavender and herbs is about conceivable. Actually lavender, thyme, rosemary and savory do have quite a bit in common, just try a leg of lamb roasted and add a few sprigs of lavender over toward the end of its cooking time, it will give the dish a delicious flavor. Lavender is used to reduce blood pressure, heal wounds, have antiseptic and disinfectant properties. Rubbing fresh lavender on your arms and legs will keep insects away. Beekeepers , who collect the Lavender honey, are rarely stung by bees. 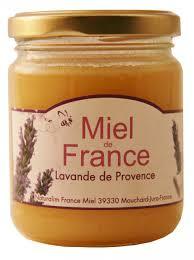 Also Lavender honey can provide relief for migraine sufferers. In the summer time lavender festivals are held in its honor all over the country from Vaucluse to the Alps of Haute Provence. 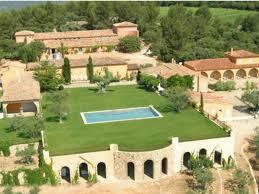 Also one in Valensole as well as Digne-Les_Bains and sault. These events take place in August. In Coustellet, the Lavender museum has a very good exhibition of the various types of lavenders. 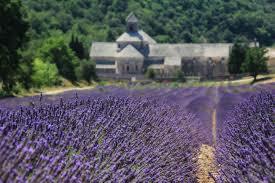 You will also find lavender distilleries, cooperatives and lavender farms that are open to the public. 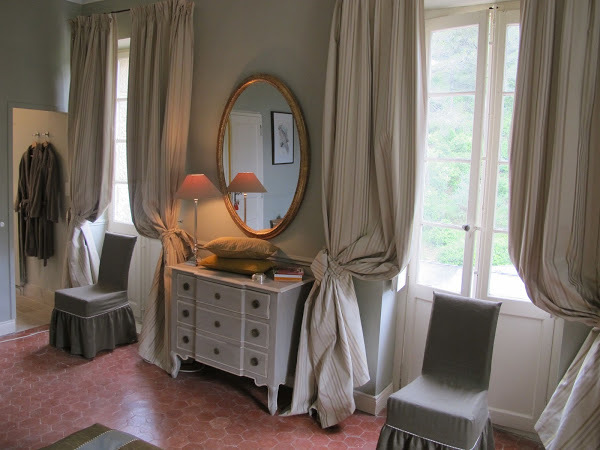 Travel with us this spring 2015 to Provence. 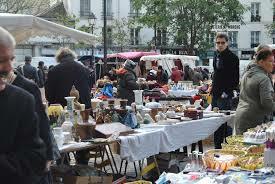 Each year on November 27, an annual market is held in Carpentras. The visit is well worth the effort, even if the weather is cold at this time of year. The meaning behind the cold weather an indication that that the truffles are ready for harvest. The Vaucluse is France’s main truffle producing region – Two thirds of domestic production hails from this area. On the plains of Carpentras , which provide very good growing productions for this “black Gold”. The first truffle market of the year used to be held on Saint Siffrein’s day and for the last few years , however , the Carpentras truffle season has got underway a week earlier. Truffle markets are held at nine o’clock every Friday morning right up until the end of March. Unlike the market in Richerenches, during the half hour before the market opens its doors, smaller truffle producers have the opportunity to sell their modest pickings to private buyers. On the first day of the 1999 Carpentras market, 682 pounds of truffles were sold!. The amount is equivalent of an entire harvest for a rainy year. No matter how wonderful it is in an omelet or wrapped in a pastry, the best way to savor is to eat on a piece of rustic bread , sprinkled with sea salt , truffles can be bought more cheaply as a preserve. During the preserving process the truffle is cleaned and sterilized for 3 hours, the truffle loses 25 percent of its original weight. The juice can be saved for cooking purposes. Comtat has , for the past few years, held the record for producing the largest truffles, weighing as much as 14- 30 ounces . Comtat is home to numerous restaurants, famed for their truffles dishes. They were described as a ” miracle of nature” , the Romans ate them like candies during performances at the theater. The popes at Avignon gave them pride of place at their banquets. Francis I ate them as comfort food as he was prisoner of Charles V , the duchess of Berry, who was plagued by scandal, is said to have fed her husband truffles, she was convinced of their aphrodisiac properties. During the 18th century, fashionable society would eat them during the interval at the opera and by the 19th century, elegant meal was considered incomplete without them. 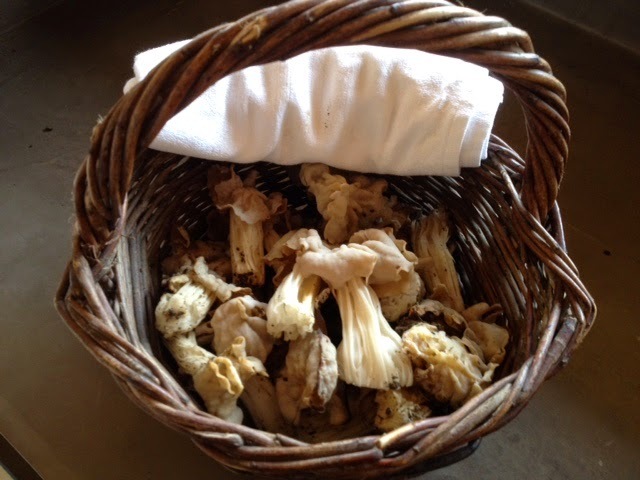 Join us in the Fall 2015 when we will go foraging and hunting for mushrooms in Luberon, Provence. Olive oil has always been the basis of Mediterranean cuisine : Tapenade, aioli, or pistou, broiled fish and bell peppers, marinades, or simply tomato salad with mozzarella – all these dishes would be inconceivable without olive oil. No two olive oils produced in the numerous olive mills are ever the same. They have a dried fruit or plant aroma and the intensity of flavors varies depending on composition and the region in which they are grown. The black tanche, for example , smells of green apples and freshly cut hay, the verdale is definitely reminiscent of artichokes, and olives from Baux and also a very distinctive bouquet of aniseed bouquet.The olive oil from green olives is more bitter and keeps longer than oil from black olives. Also olives like grapes experience good and bad years and some folks always find it a good idea to establish a small oil cellar in the home because olive oil is very sensitive to light. 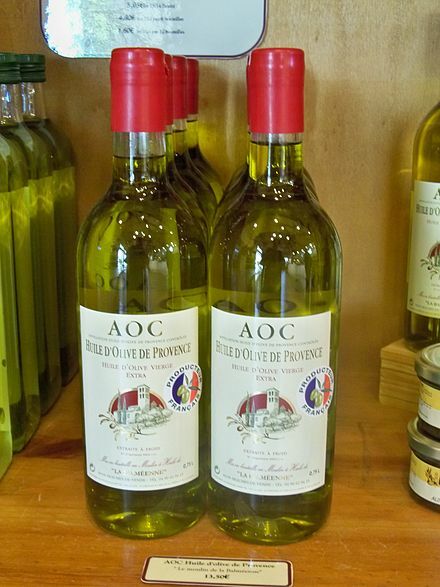 A mild olive oil is perfect for broiled dishes and vegetables, a light one for salads, and a more strongly flavored oil for fish, meat and pasta. 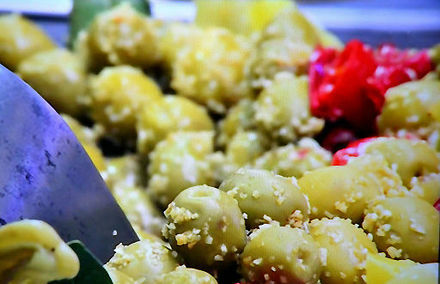 The Tanche olives were introduced by the Greeks of Massilia around the 4th century BC. It is an olive oil used to make tapenade. The olives are grown primarily in the Drome and Vaucluse regions of Southern France – They are often referred to as perle noire, The black pearl of Provence. 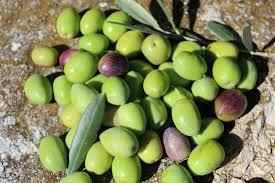 The Verdale olives are grown in Herault and a design of different variety of olives. Verdale of Pyrenees Orientales. If you are interested there are several mills and a museum in the vicinity of Nyons which are open to visitors. Moulin Dozol Autrand, their olive oil has a slightly fruity flavor. You can taste it on a slice of rustic bread with garlic. Very delicate and flavored with a suggestion of hay. 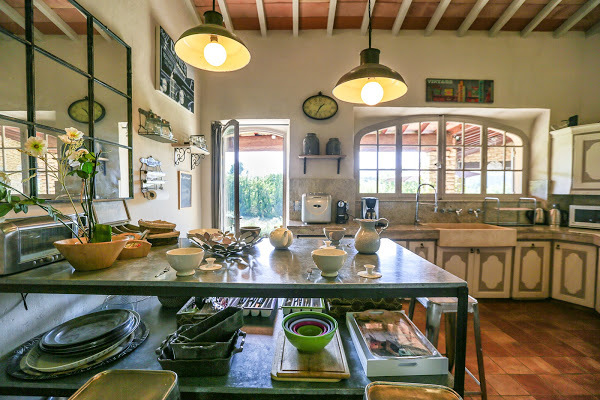 Vieux Moulin, you will experience the preserved, traditional method of olive oil production in a 16th -century mill. A very fruity olive oil! The best place to learn about the history of olive oil, a true combination of nostalgia and poetry. 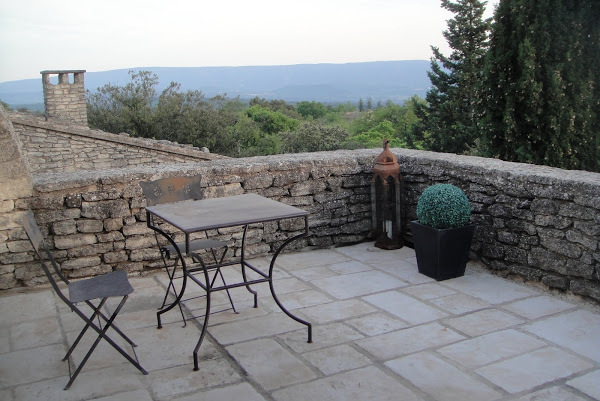 Join us in early Spring for our shopping tour of Provence. April 25, 2015 – May 2, 2015. ( 12 guests are invited. Book before March 13, 2015 and only pay $ 3,120 pp. After March 13, 2015 the price will be $ 3,731. We are artisans of leisure and work very hard behind the scene !. Our tours are upscale and very affordable. The villas that we choose are a less expensive way to enjoy luxury!. We offer drivers, chefs and we make you feel like royalty for a week. All the villas have been inspected and we offer our clientele most of the amenities that luxury Hotels do. 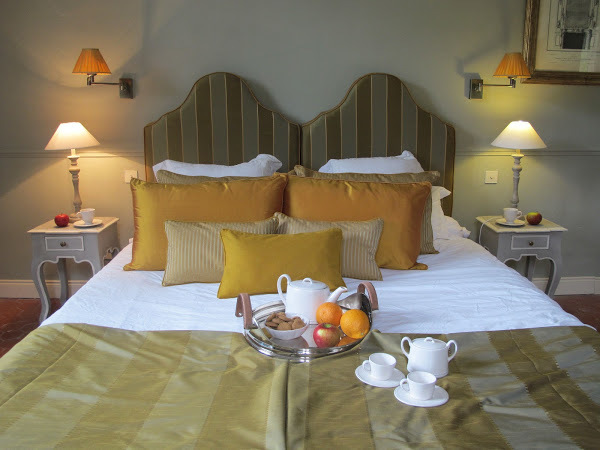 A stay for a double occupancy in a luxury hotel in Provence range on average at over $ 2, 000 a night and is reserved to the very rich. We want to make it affordable for our clientele to enjoy their vacation at a more affordable price including a private chef, drivers ( all meals included) as well as a TGV round trip train ride. 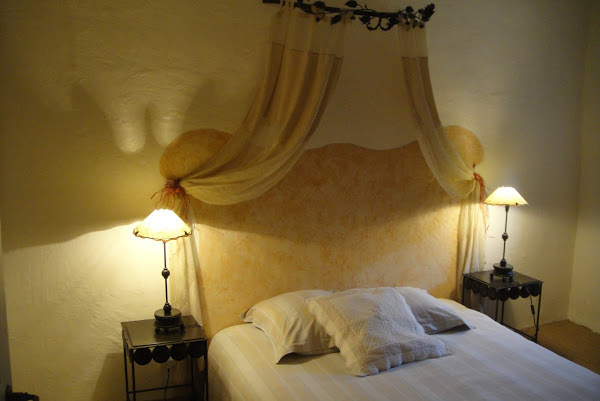 Also our itineraries are customized according to our clientele’s interests. It is always the perfect getaway and we not only sell you a package holiday but we offer you an experience. Many travelers prioritize Provence’s famous sites over its more sincere side, and we at Luxury Travel Consultant2 believe that life is too short for tourist traps. 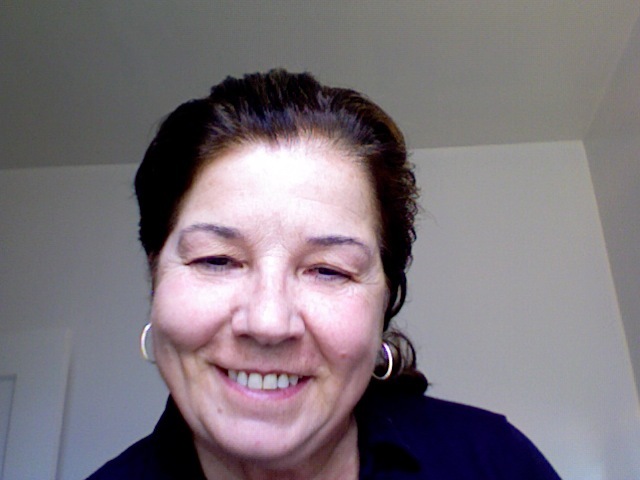 ” She had done her homework with regards to the house, grounds, amenities and cleanliness of this wonderful home. Kate & Ted Smiths ( San Francisco). Visit us online at www.luxurytravelconsultant2.com and book your trip . $ 3,731 pp after March 13, 2015 and before March 13, 2015 $ 3,120 . All inclusive! ( Air Fare not included!). *We were able to lower the prices down with the property only if we booked by March 13, 2015*. 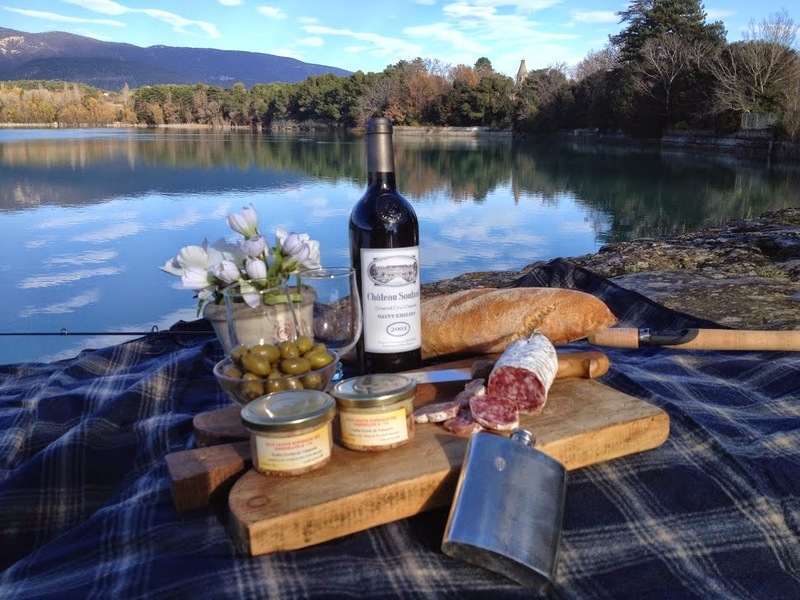 We invite you to exlore Provence like a local. We planned a few trips this coming spring 2015. 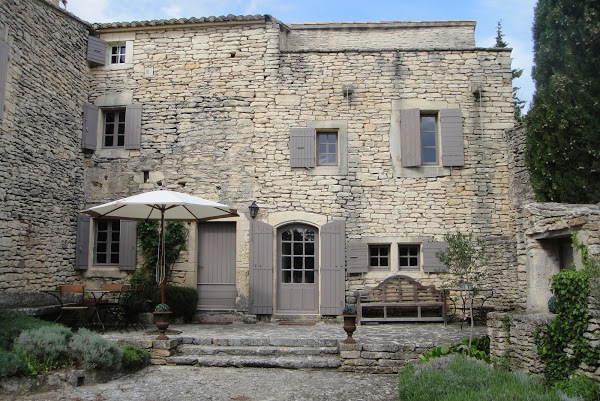 The first trip will take place at La Bastide des Clapes, a beautiful property located near the hilltop Luberon village of Bonnieux. This very comfortable and spacious 7 bedroom house will be your home for a week, the house opens to a large garden with an amazing view, a pool and outdoor dining. The property is designed for modern comfort on the inside and simplicity and beauty on the outside. 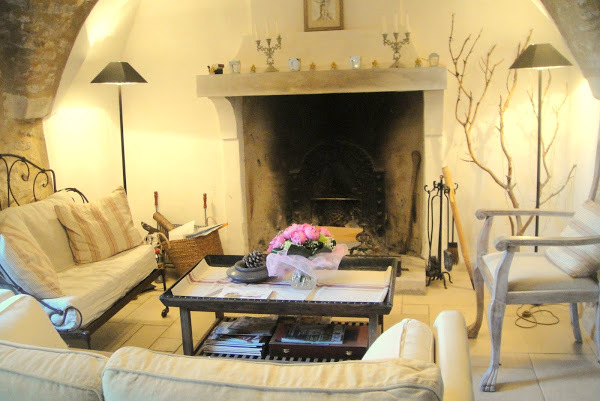 this property is well cared- for, cleaned and well-equipped for a large group of friends. 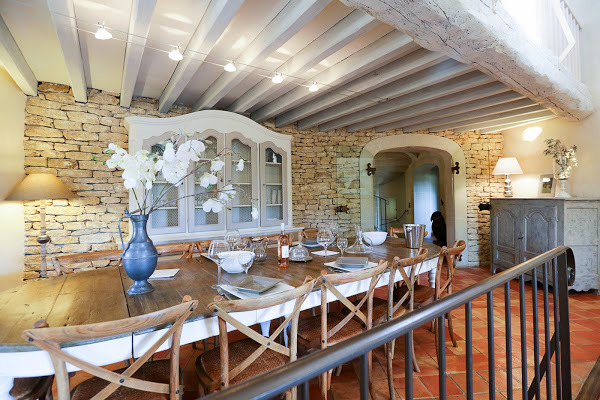 Let’s go antiquing in Provence. Shopping different flea markets in Provence and a cooking class. This vast property includes a full private valley and the hills surrounding this beautiful home. 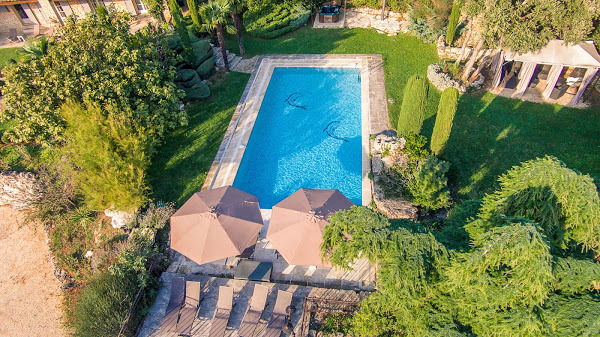 the location is unique with private pool, tennis court and no neighbors. This very peaceful place is a haven to rest and forget about the real world. 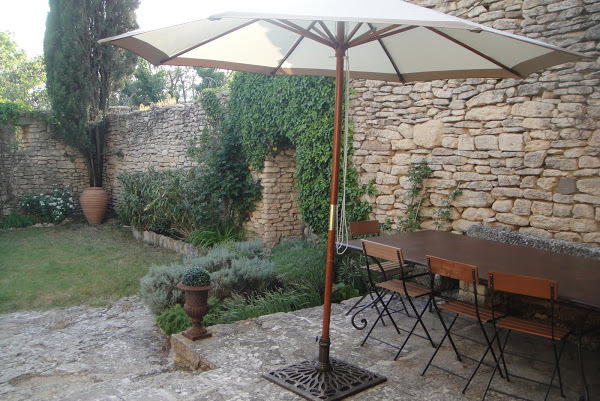 St Remy de Provence is only 6 km from the property with scores of famous cafes and restaurants. 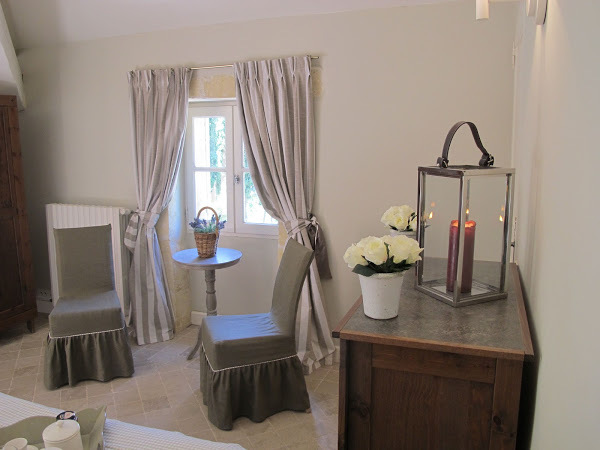 This will be your home for one week during our tour ” Flavors and colors of Provence” taking place in May 2, 2015 – May 9, 2015 and May 16, 2015 – May 23, 2015. Breakfast, lunch and dinner (included). Truffle experience ( visit to an organic , local farm) Champagne, truffle appetizers and lunch included. Cooking class included with local chef, going to the farmers’ market and cooking lunch.